The S3A would like to send our congratulations to all the brothers graduating this academic year. Hope you enjoyed our luncheon recognizing your accomplishment and continue with the burning desire into the new stage of your life. 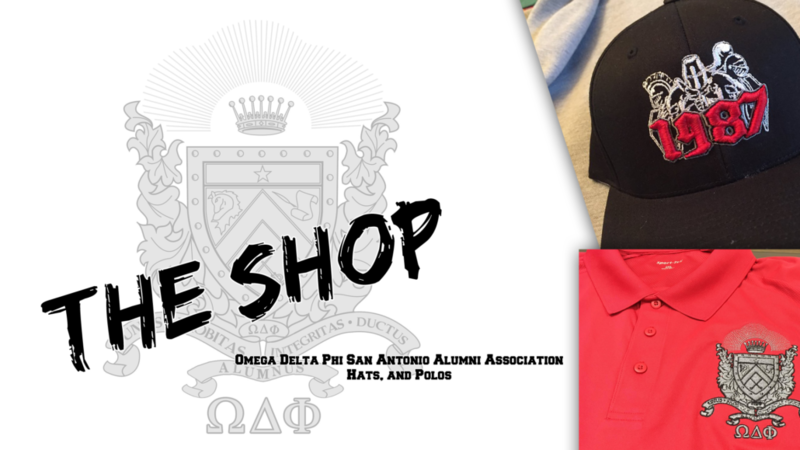 Omega Delta Phi San Antonio Alumni Association has a strong, rich tradition of service to our communities. We strive to excel in every field of human endeavor, setting the example and creating new standards for the greater San Antonio area. When you have brothers running alongside and pushing you to succeed, it makes finishing so much better. Join us on Saturday, October 20, 2018, for our annual Fright Knight for Kids at the Boys and Girls Club. This is a FREE event for everyone in San Antonio and the surrounding areas to enjoy. ©2018 Omega Delta Phi San Antonio Alumni Association. All Rights Reserved.